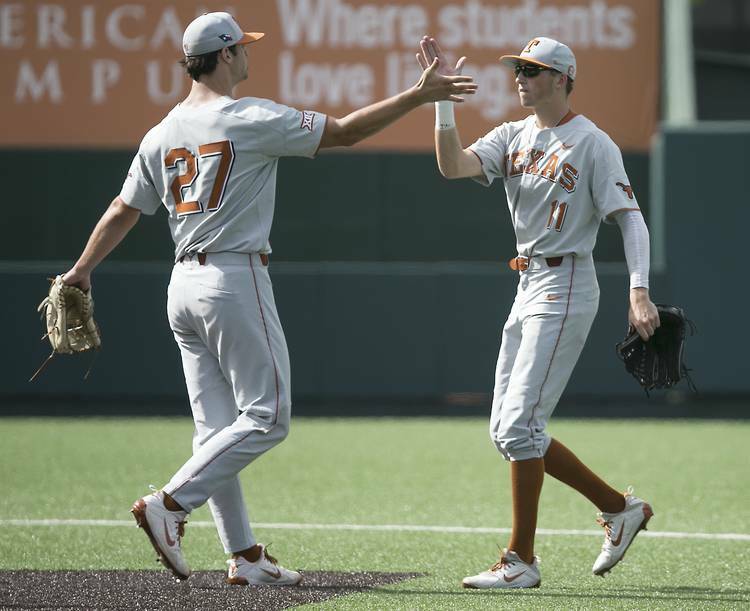 For those baseball fans who can’t wait until UT’s season opener on Feb. 15, Texas announced on Monday that it will play two junior colleges and three intrasquad scrimmages this fall. Texas has scheduled a 14-inning contest against McLennan Community College for 12 p.m. on Oct. 14. Two weeks later, Texas and San Jacinto College will play 18 innings. UT’s annual Orange and White Fall World Series will then be held on Nov. 1, 2 and 4. Respectively scheduled for 6 p.m. and 1:30 p.m., the first and third games of the Orange and White Fall World Series will be broadcast on the Longhorn Network. The scrimmage against McLennan Community College will also be televised. There will be free admission at UFCU Disch-Falk Field for all five contests. Texas is coming off a season in which it went 42-23. The Longhorns won the Big 12’s regular-season championship and reached the College World Series. In his third year with the Longhorns, UT coach David Pierce expects to retain seven players who had 200 at-bats in 2018 as well as all-conference pitcher Blair Henley. Longhorn Minute: Does 4-1 Texas have a chance against OU in Red River Showdown?